Happy New Year to all Pro Silva Ireland members and friends! 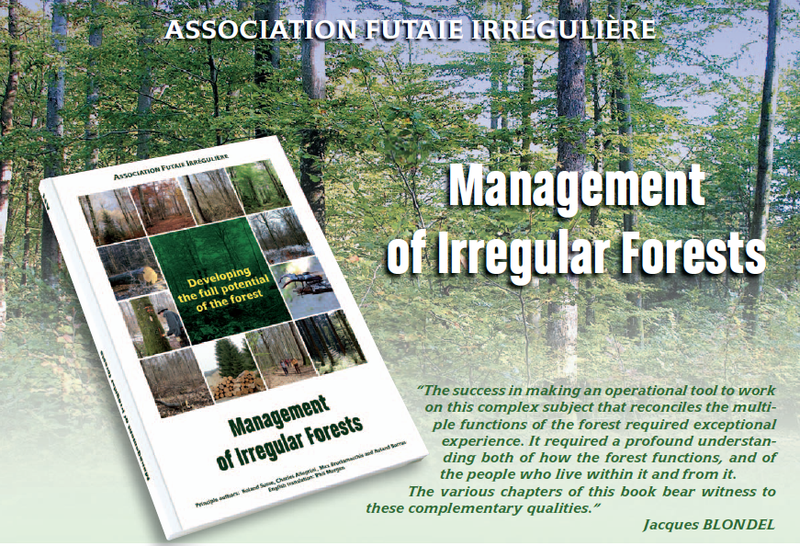 We are happy to announce an important new publication from the leading French Association Futaie Irreguliere which will be of interest to many of our members, Developing the Full Potential of the Forest: Management of Irregular Forests (2011). The AFI is offering you the opportunity to buy Management of Irregular Forests at the price of £20.00 + £ 1.75 p&p on deliveries to the UK or €22.00 + €5.00 p&p on deliveries to the Euro zone.